Ground Clearance (also known as ride height) is one of the most basic but very important general dimensions of a vehicle. It is defined as the minimum distance between the lower end of the vehicle body (or chassis) and the road. In other words, it indicates the height of the lowermost part of the vehicle with respect to ground. Generally, most of the manufacturers specify this dimension in unladen vehicle condition i.e. without any load of cargo or passengers. That is why, when you load the vehicle with passengers and cargo; the available ride height is always lower than specified in the actual running condition. On rough and bumpy roads, higher ground clearance is always better. This is because it avoids the scratching of the underbelly of the vehicle. As a general rule, it could be observed that a specific body type of a vehicle has some standard for ground clearance. Sedans and high-performance sports cars have very low ground clearance while hatchbacks are on the next step of the ladder. SUVs secure the top position of the ladder by offering highest ride height. It is the trickiest dimension because vehicle handling directly depends on it. 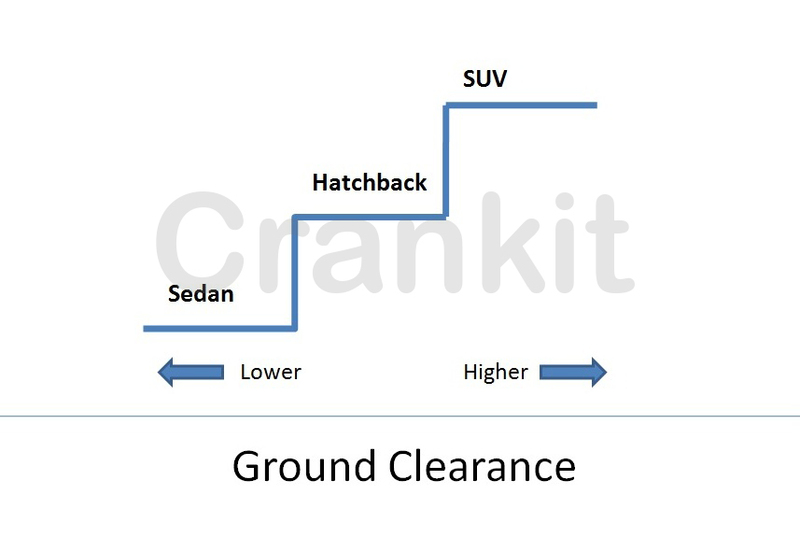 The higher the clearance, the higher is the position of Centre of Gravity (CG) of the vehicle. And the higher position of CG means that the vehicle is prone to roll over. That means vehicles with higher clearance have more possibility of turning over than the vehicles with lower clearance. Thus it affects the handling. On the other hand, vehicles with lower ride height offer superb handling performance due to lower height of vehicle CG. The most common way to increase the ride height of the vehicle is by modifying the suspension of the vehicle. Many aftermarket agencies follow this practice. In developing countries, this dimension is of more concern to the customers due to the bad road conditions. Hence, the customers prefer vehicles having higher ride height in the market. 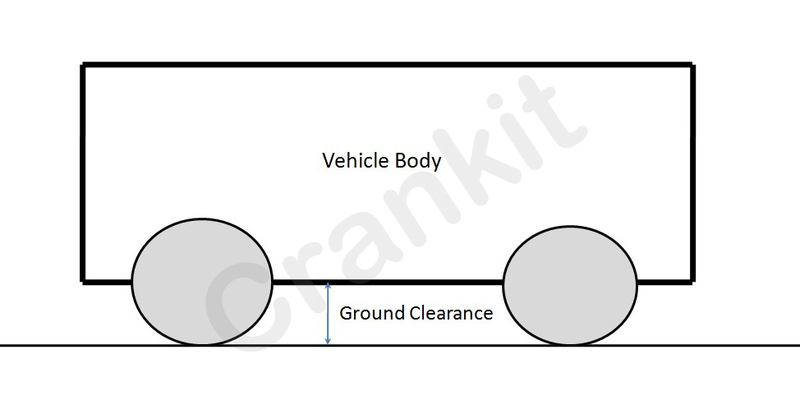 Home » Technical Anatomy » What is Ground Clearance of a vehicle and how it affects handling? How A Windscreen Wiper In A Car Works? Limited Slip Differential (LSD): Why your vehicle needs it? What is Electric Parking Brake (EPB) in vehicles and how it works? Know More. Anti-pinch technology – a safety system in car’s power wndows explained.